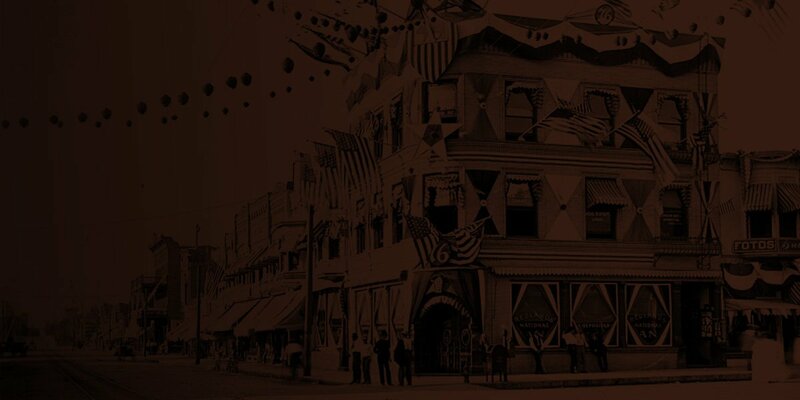 Alice Shelly was an employee of the Southern California Edison Company and living at 120 High Street in 1908. The water connection and address, which fell outside the city limits in 1908, list a building with one story, nine rooms, one water closet and one head of stock, no doubt a horse. Looking at the home today one views a two-story, high steep gable roof which is painted in an olive green color with composition shingle siding. The center return gable dormer with red highlights around the windows is further decorated with a half round vent in the gable. The wrap-around front porch on this elevated lot gave spectacular views of the San Gabriel Mountains in the distant west. A well constructed cut stone wall presents a formable barricade to the street below. This early Craftsman bungalow breaks many of the Craftsman rules, which were to follow in the next few years. With no protruding rafters and a very steep pitched roof the architect was truly experimenting with a new style of residence. Since the home was outside the City of Redlands at the time no building permit was required. Alice Shelly did the paperwork for the water connection and was very soon married to Arthur E. Reesor, an orange grower. City directories then skip to 1919 with J. H. Beamer and Mrs. J. A. Gamble, an attorney, in residence. In 1925, D. M. Smith seems to have built another residence behind the home for $700. H. H. Teeple is listed as renting the home with W. G. Steeves, a carpenter, his wife Julia. Norman H. Steele resided in the rear residence at this time. Plumbing and electrical improvements are noted in 1944 and 1946 by Mrs. Betty E. Teeple and Marilyn Richardson. In the 1950’s the owner, Charles Ziilch, was busy building a car port, garage and retaining wall. Robert and Gail Horrigan upgraded the heating and air conditioning in 1985. Horrigan contracted for the $10,000 pool in 1986. Carl and Lori Sandstedt moved to the home in 2000 and have completed garage demolition work, electrical, fire sprinklers and built a new garage. 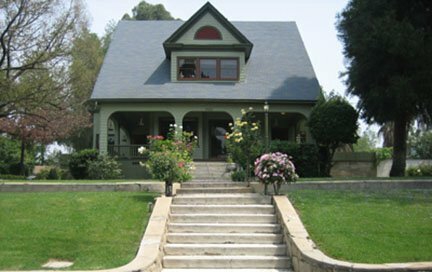 They have lavished care on this unusual architectural wonder and greatly deserve a 2006 Redlands Historical Society Heritage Home award.